Myriad industrial processes rely on enzymes, from making orange juice to manufacturing denim jeans. Research emerging from the University of Pennsylvania is transforming how these enzymes get made. 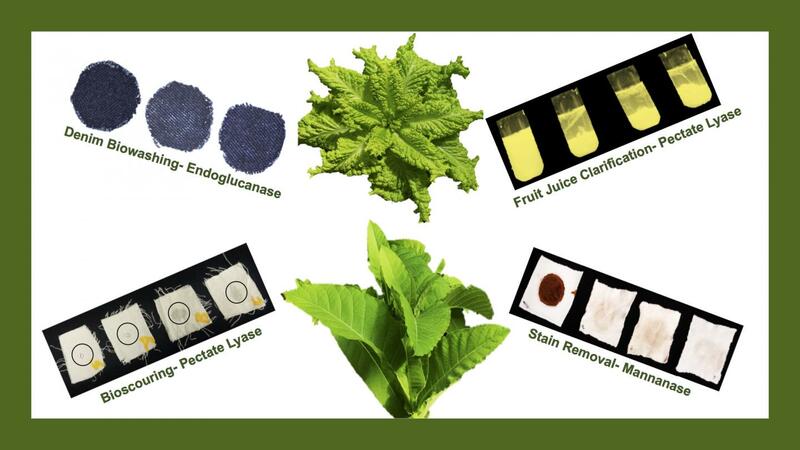 The Penn team put the enzymes into action in “a head-to-head comparison,” Daniell says, testing their ability to remove indigo dye from denim (“biowashing”), de-pill knitted fabric (“biopolishing”), and remove chocolate and mustard-oil stains. In all cases, the corresponding Phyllozyme enzymes achieved comparable–and in some cases better–results than their microbial-produced counterparts. Experiments in the Penn Dental Greenhouse, located at Pennovation Works, and at the hydroponic growing facility Fraunhofer demonstrated that producing enzymes in tobacco or lettuce plants could generate significant yields, and that the resulting enzyme products were effective and active, even when plants were harvested at various time points. Henry Daniell is W. D. Miller Professor and Interim Chair of the Department of Biochemistry at the University of Pennsylvania’s School of Dental Medicine. Daniell’s study coauthors were Penn Dental Medicine’s Rahul Singh, Uma Kumari, Tui Ray, Seema Rana, Prasenjit Saha, Karan Malhotra, and Shina Lin; Thuanne Ribeiro of Universidade de Brasilia; Colleen McMichael of Phyllozyme; and Rashmi Chowdhary and Anshika Agarwal, guest investigators in the Daniell lab. Daniell is an inventor on several patents on expression of enzymes in plant chloroplasts. He is also the technology founder of and holds equity in Phyllozyme, along with the University of Pennsylvania and investors. Chowdhary and Agarwal received support for travel and overhead costs from Phyllozyme. McMichael is employed by Phyllozyme.